QuadraChem Laboratories Ltd. will be the partner for the distribution in the UK of the CDR FoodLab® analysis systems. The new distribution agreement has been signed recently from CDR and the English Company in order to sell and promote the instruments of the CDR FoodLab® Line in the UK market. In recent years the number of clients coming from UK has grown considerably. That is the reason why CDR has searched a partner for distribution and has now signed the agreement. 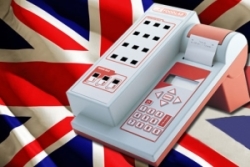 We have provided some important customers in the United Kingdom with our products in these years but as we are receiving a large number of requests for our analyzers from UK, we need a good partner for distribution. I think that QCL is that kind of partner. We are sure that QCL will be able to promote in the best way the CDR FoodLab® Line in the UK, thanks to their thirty years of experience and their excellent customer service. The set of the CDR FoodLab® analyzers is designed for the quality control of food and beverage. The systems are specialized in specific food substances and can realize a wide range of tests. In the section Analyzers of this website you can discover the characteristics of our instruments and the panel of tests they can do. Moreover the systems offer an answer to specific analytical needs. Here you can find a detailed description of methods and procedure of each analysis. You can also find out that our instruments are certified and compliant with the reference methods. Click and Discover more about CDR Foodlab Line: Tests in few minutes, reference methods compliant. March 2013 – the distribution of the CDR FoodLab® analyzers for foodstuff in the UK was last modified: May 25th, 2017 by CDR s.r.l.